Though I’m a member of several Facebook cichlid groups, I rarely post in them. I use Facebook just to help me stay informed about what other cichlidophiles are talking about. Just over a year ago, I came across a Facebook post by today’s interviewee that I thought was very interesting. So much so that I asked him if I could copy part of it and write a blog entry about it. He graciously agreed, and you can find it here. One thing led to another, and here we are. 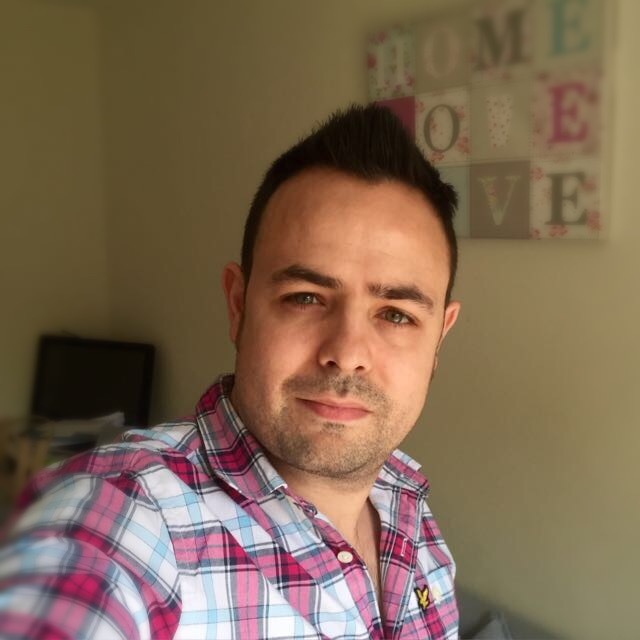 Let me introduce Paul Butler, who resides in Salisbury, Wiltshire, England. 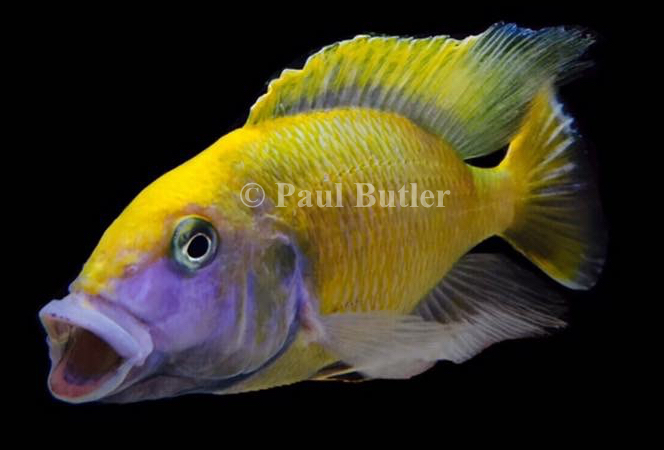 He is the owner of PB Cichlid Photography and founder of a popular cichlid group on Facebook. As a fishkeeper for 23 years, Paul has kept many species of fish from coldwater and brackish to freshwater tropical and marine. He currently maintains a pond with Shubunkins, a Malawi Haps and Aulonocara tank, and a marine tank. When he’s not watching his fish, he’s photographing them…or someone else’s. The Cichlid Stage: As founder of the Facebook group Cichlid Keeping Done Right (CKDR), describe it for the readers and why you started it. I first started Cichlid Keeping Done Right about 2 or 3 years ago. In recent times, more and more people are using social media as their main source of information for most topics and activities. Social media is a fast and convenient source to find information and to ask questions on pretty much any topic. I began frequenting the main cichlid Facebook groups to see just how good a tool it can be. It did not take me long to realise that using Facebook as a source of information is a double edged sword. It may be convenient but is only as reliable as the person answering the questions or offering their opinion. It became apparent that many people who are new to the fish keeping world are turning to Facebook to help them start out instead of using books, magazines, and lectures as we traditionally have. Whilst it is lovely to see so many people getting involved in the hobby and trying to help each other, there is a lot of misinformation and bad advice. For example, “It’s ok to mix South American cichlids with Lake Malawi mbuna. If they are tank bred fish, it makes no difference.” Advice like that ignores factors such as pH, dietary difference, and different behaviours and aggression levels. Not only does that cause friction between those saying it is ok and those who are more experienced or well informed, but it is also giving the next generation of Cichlid keepers some poor advice that in turn they will pass on to others asking similar questions. Not only that, but the experienced keepers are being told that it’s a matter of opinion and that no one is right or wrong, which of course is not the case. I began looking for groups that focused on best practice fish keeping, whist still appealing to mainstream users. I found that these sorts of groups were lacking on Facebook. I took the initiative and started CKDR, a group where only best practice advice is allowed and offered. It attracted a lot of experienced cichlid keepers who see CKDR as a kind of haven for those who enjoy seeing properly stocked tanks with appropriate species being kept together. A lot of people have acquired good advice, and I have a sense of accomplishment with the knowledge that we are able to help new cichlid keepers with considerate and accurate advice. It will never bring balance due to the hundreds of other groups where almost anything is acceptable, but we are at least playing our part to keep good cichlid keeping practices alive. 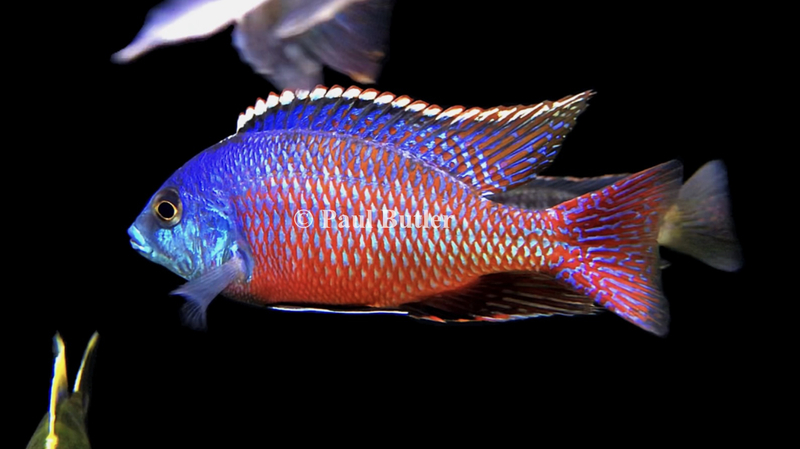 TCS: I recently interviewed Juan Miguel Artigas Azas, founder of The Cichlid Room Companion, and I asked him to differentiate the aquarium hobby in Europe and South/Central America from the United States. As a native of England, how would you describe/characterize the cichlid hobby in your country? I read your interview with Juan and I found it very interesting and indeed informative. I would say that, in England, it is very similar to how Juan describes Europe. People here do tend to keep less aquariums, and we rarely see aquariums as large as some of the ones a lot of people across the pond in the United States sometimes have. As far as the fish themselves go, whilst we do have some very high quality examples imported and bred here in the UK, we have a lot of hybrid fish being distributed by hobbyists and passed off as pure bred. This is unfortunate but can be rectified by helping new keepers to be better informed, which I believe social media is influencing more and more. I would always recommend to anyone that, whist social media is handy, they should always do further research with books. TCS: You are partial to Lake Malawi cichlid species. What intrigues you so much about these cichlids compared to others? Whilst most cichlid species’ fascinate me, I feel drawn towards Lake Malawi species because I find their behaviours and body language interesting. At a glance they can appear to be similar in shape but with a large variety of colours. However, I’m a real sucker for attention to detail. 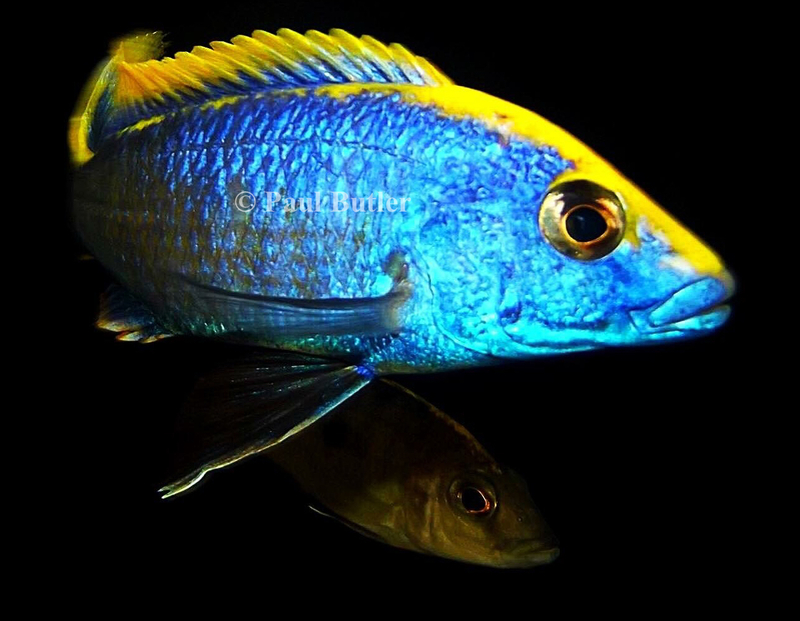 If you look closer, you can see the way their mouths differ between the species where they have adapted to be experts at their own niche feeding habits, whether it be the huge lips of the Placidochromis milomo or the large teeth of a Pseudotropheus elongatus ‘Mpanga’. I love the way that the different species feeding and other natural behaviour can complement another’s feeding habits and behaviour, like a Fossorochromis rostratis sifting in the sand for food and releasing invertebrates into the water column where a nearby Cyrtocara moorii, who has been following the rostratus, takes the opportunity to get his food. It can be likened to the ecosystem of a saltwater community. Going back to my love of detail, there is something about the details on the fins of some species such as Protomelas taeniolatus that blows my mind. The thought that nature creates such amazing beauty. Protomelas taeniolatus (Namalenje Island) ‘Red Empress’ (male). Photo by Paul Butler. TCS: Describe for the readers your ultimate cichlid tank, if budget and space were no obstacles (size, livestock, etc.). If money and space were no obstacle, I dream of an indoor pond similar to what Morrell Devlin spoke about in his interview. It would be a 15′ x 15′, 5′ deep, above ground pond with a glass front. I would create a Lake Malawi biotope with rock and sand shipped from the lake itself. I would have a 4′ x 2′ area at the front, like a tunnel, with a mat black back. The back would be sloped at a 45 degree angle (to reduce flash glare), so there would be a great photo opportunity every time a fish passes through. I think having all these predators at full size and with all that space would help to provide optimal conditions for the fish and provide some fantastic photo opportunities. 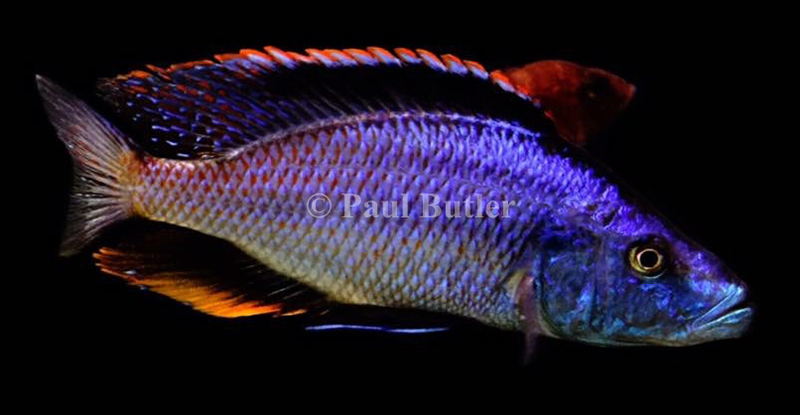 Dimidiochromis compressiceps ‘Malawi Eyebiter’ (male). Photo by Paul Butler. 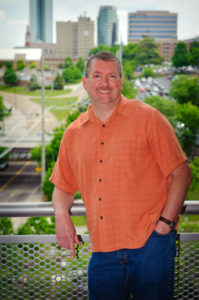 TCS: You are an expert photographer specializing in aquatic photography. Talk a little about your work. I always had a eye for good photo opportunities and the ability to time my shot just right. It developed over the years and It was only a matter of time before my love for Cichlids and my love for photography came together. Initially I found it challenging, as the methods I utilised to get good results with my photography previously were not getting the desired results. 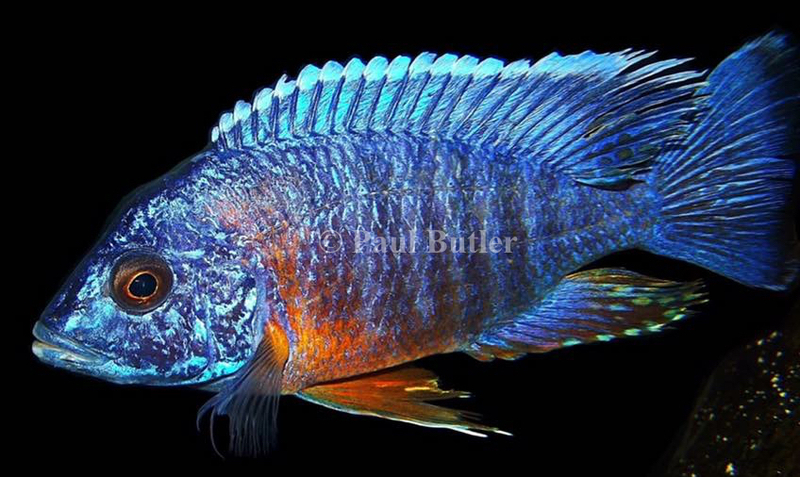 I had to test and adapt new methods to get the best photos I could, photos that stand out in a crowd, and my own brand of aquatic photography, PB Cichlid Photography, was born. It began with cichlids but has also involved invertebrates, various marine life, and other types of fish. Mylochromis plagiotaenia (male). Photo by Paul Butler. Aquatic photography is unique in the methods that are needed to get the desired results with light refraction and fish movement to contend with. It is also very rewarding, and I get a real sense of achievement when I do a shoot for someone, and they are amazed at the results. TCS: For those interested in aquatic photography with little photography experience, what advice would you give to get them started? I would advise that the one thing that you cannot learn is patience but, in my experience, patience is more important in aquatic photography than most other areas of photography. My preferred lens would be the 35mm fixed. Don’t go out and buy a really expensive camera when you first start. Get a cheaper camera and buy a remote flash. It makes a lot of difference. Angle the head of the flash down about 30 degrees. *Top tip – when you take the photos, do so with the lens touching the glass, you will get that up close ‘in the water’ style shot with no flash glare. If you’re concerned about scratching the glass, you can glue velvet or cloth to the rim of your lens. If you stick with it for a long period of time and you know you will continue, that is the time to upgrade your camera. Nimbochromis venustus ‘African Giraffe Cichlid’ (male). Photo by Paul Butler. Leave plenty of time to get your photos. Sit right in front of your tank for 10 minutes before you start shooting. Let the fish get used to you being there so you don’t spook them and they don’t think you’re going to feed them. Wait for the shot you want… you can guarantee that if you want to get a yawning photo but you take a different shot, the fish will yawn before you reset for another shot (nature of the beast). Above all, practice makes perfect. 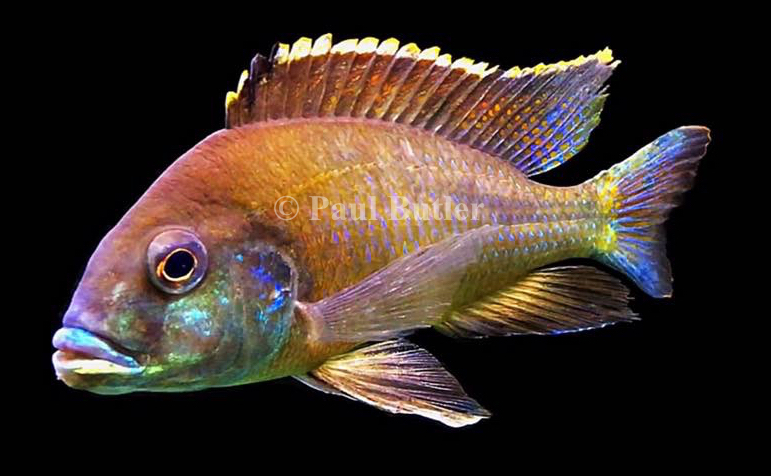 Aulonocara hansbaenschi ‘Red Shoulder’ (male). Photo by Paul Butler. Otopharynx lithobates (Zimbawe Rock) ‘Z Rock’ (male). Photo by Paul Butler. TCS: What are some tricks or hints for those simply wanting to take pictures of their tanks and fish with their cellular phones? Cell/mobile phone cameras don’t have the same shutter speed and mechanical make up that a regular camera does, so a different method is required to get a good photograph. Take your photos with the aquarium lights on and with no flash. I still recommend having the lens touching the glass. Do not ambush the fish to get a photo. Instead, track the subject. Start behind the fish and follow it until you draw level and the fish is in the frame. Continue to move with the fish and shoot on the move at the same speed as the target fish. This helps to reduce the likelihood of blurring. This tracking method is also good when using a camera for particularly active fish. TCS: Where would you like to see the cichlid keeping hobby (or aquarium hobby in general) in the next 10 years? I would like to see more stringent rules in relation to importing wild fish and to whom they go. Wild fish are vital to the hobby to keep strong, pure bloodlines, but presently anybody can obtain wild caught fish regardless of experience or level of knowledge. As social media appears to be the most common form of information now, I would like to see better advice offered on those platforms. I think more input from the likes of the ACA and BCA on the already existing Facebook groups could play a big part in this.